Released 15th April 2010. Also features Charlie, Éilis, Seán and Dónal Lennon, with Síle Denvir. There is a wonderful sweetness and diversity in this jewel of seventeen songs / tunes, presented together for the first time by Síle. 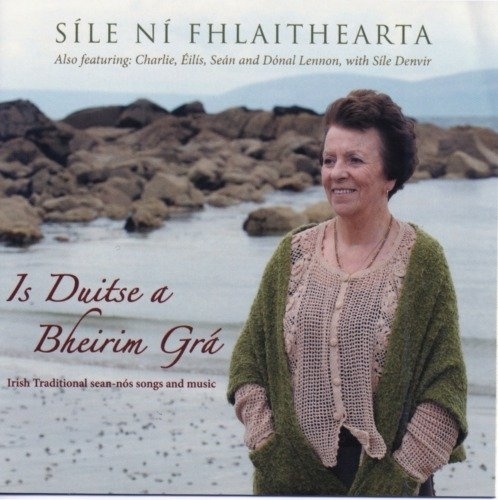 Sung in her native tongue, some are songs she heard by the fireside as a young girl in Baile an tSleibhe, which echo her heritage and her homeplace - songs like 'An Draighneán Donn', 'Brídín Bhéasaigh' and 'Casadh an tSúgáin', bringing the likes of Antaine O Domhnaill, Finin O Connluain and Padhraic O Ciardha to mind. This collection is enriched by a store of other songs she learned after leaving home and in school, as both teacher and student.